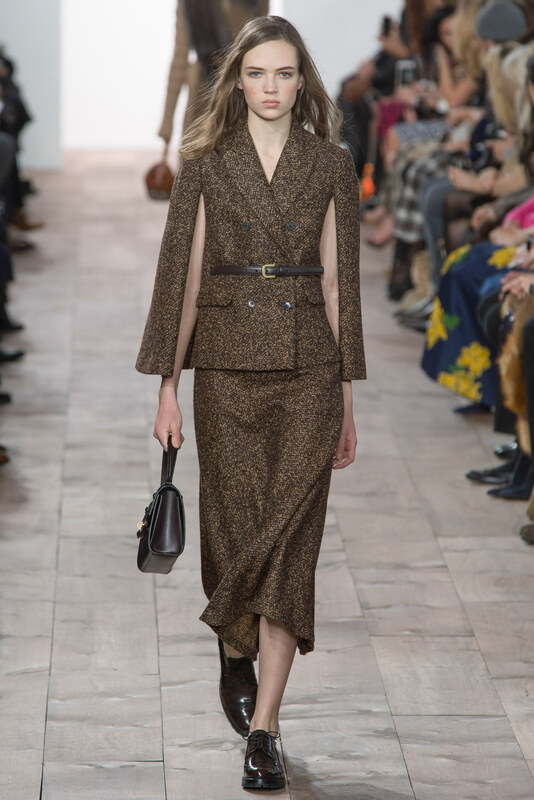 As fall started this week I started to think back to New York Fashion Week, last February when Michael Kors presented Fall 2015 Ready-to –Wear collection. It’s no lie, I that I enjoy covering anything Michael Kors because I have been obsessed with label since I was middle schooler in the late 1990s. 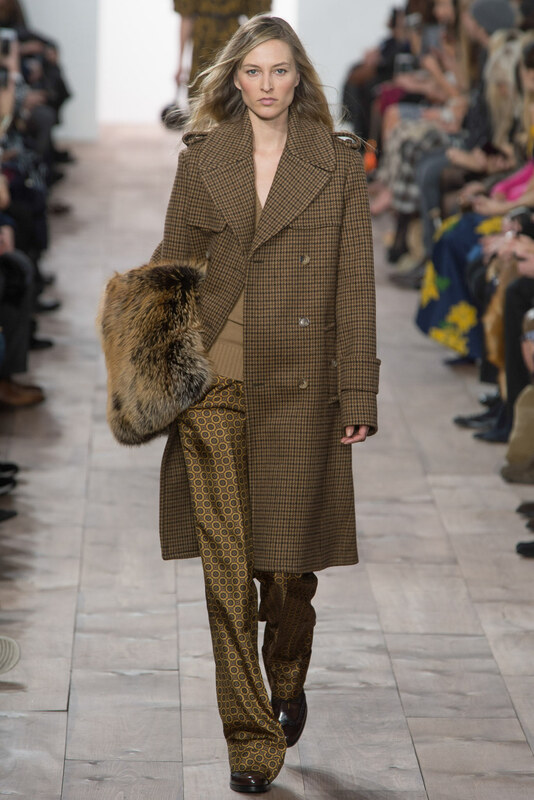 But I have to admit, I enjoy his fall-winter collections more than his spring-summer collections because as a fan I get to see the full range of Kors’ design talents in his beautiful furs in various hues, lengths, and styles. 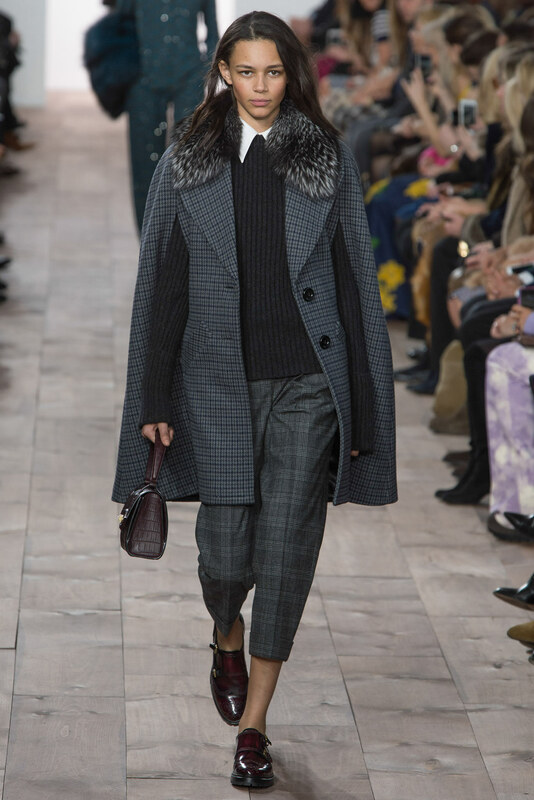 In the range of full-length coats or simple fur trims on a fabulous wool-cashmere blend coat. 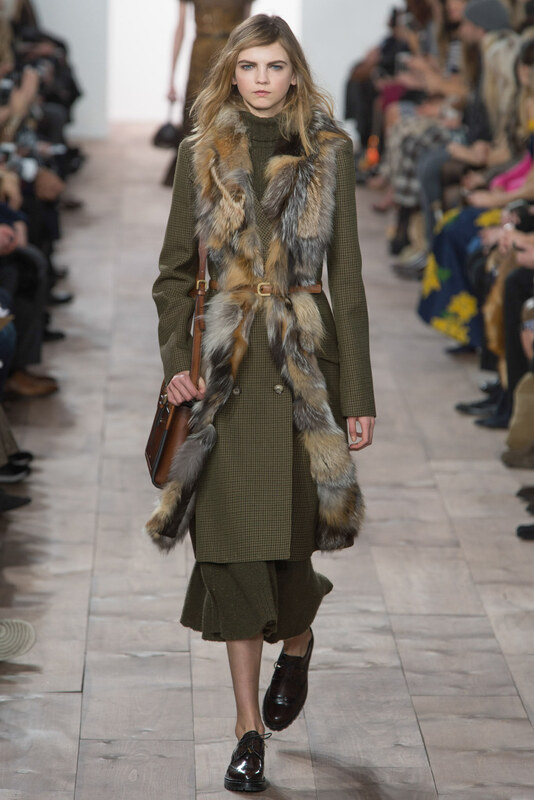 His first look on supermodel, Natasha Poly, was something spectator with a gray fur blended fur coat worn with ease. 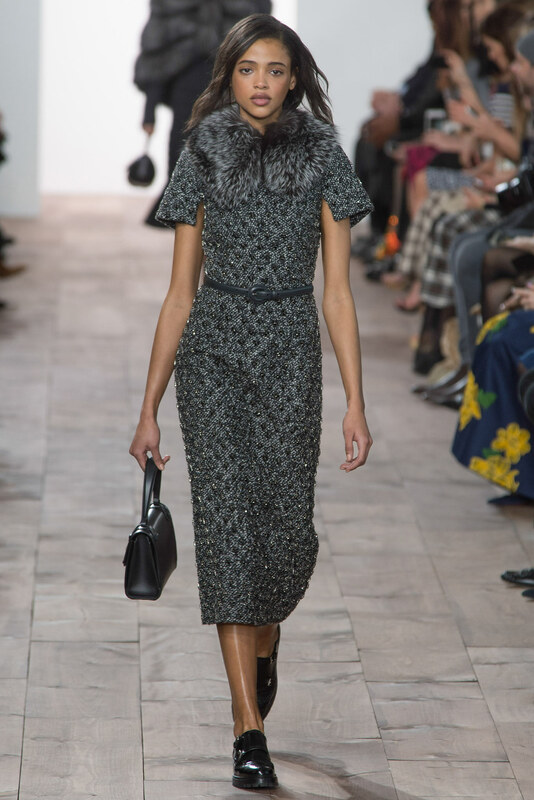 Poly who has been an active model for over a decade has been a Kors staple model. 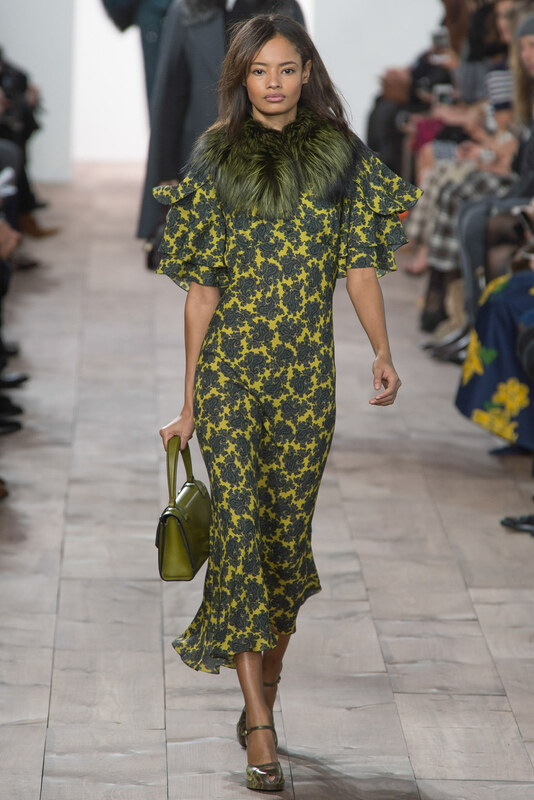 After motherhood, her runway appearances have been limited so making this walk an extra special since it was been many seasons since her last Kors show. The models in my opinion make the Kors fashion shows. There have been many model muses of the House of Kors. He understands the diversity of his clients and having women at various ages on the runways make his clothing more realistic for the woman buying his clothes. 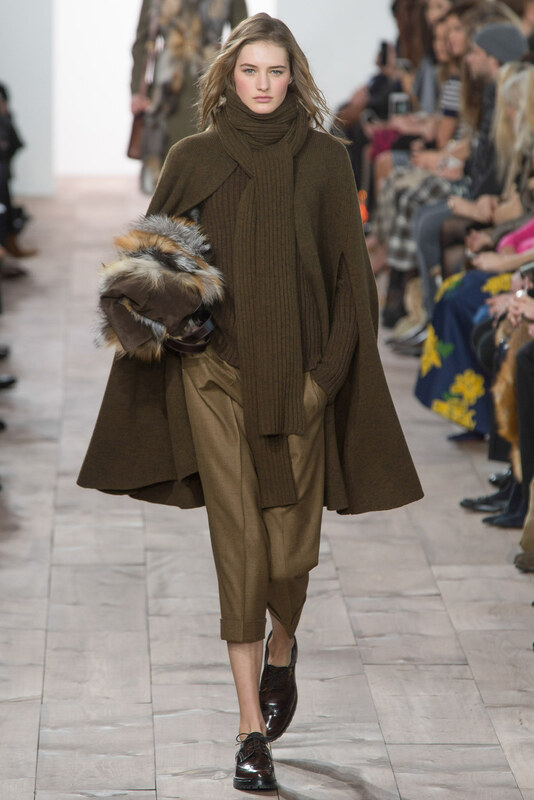 I didn’t know if the strong usage of dark tones of chocolate brown, camel, gray, olive, teal, plums to off set with power neutrals of white and black through the collection. 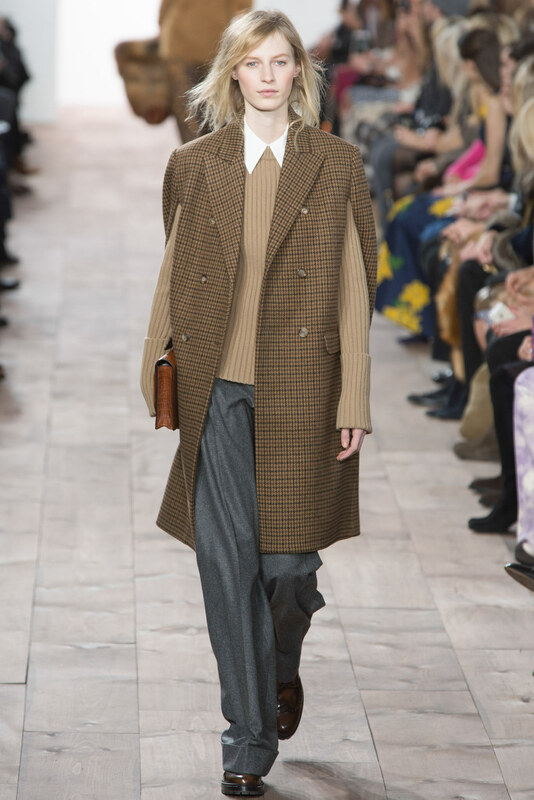 The contrast with bright accessories like an large orange clutch in an exotic animal skin (possibly alligator or crocodile) on Julia Nobis (Look 3) helped to off set the neutral look white shirt worn over a camel chunky sweater with a herringbone cape-coat with a gray pant. 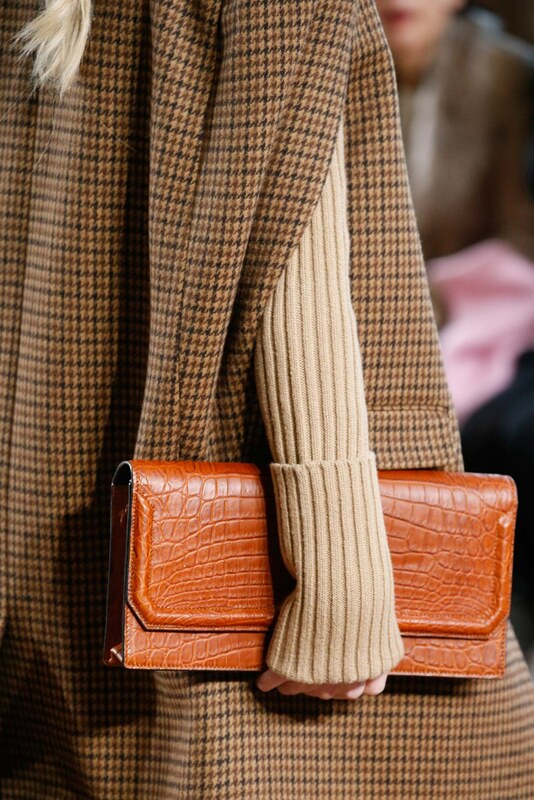 Kors attention to detail is ingenious. He is designer who believes in offering looks that are mix of hard and soft materials. 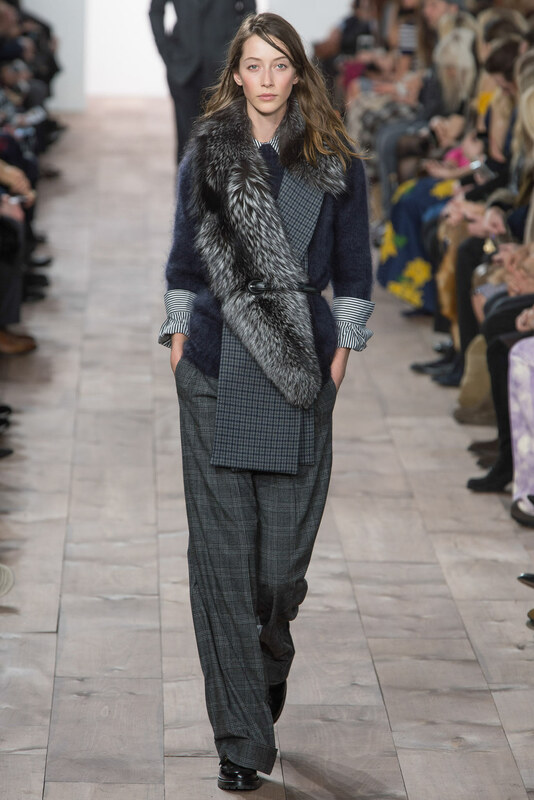 Opposites truly attract in the DNA of the Michael Kors woman. 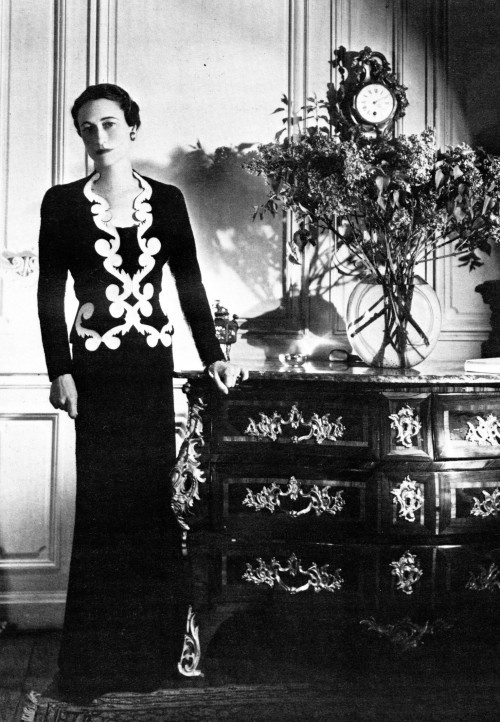 His skirt suits were so chic and were cut just below the knee. They were molded onto the bodies of the models. They moved with the body. 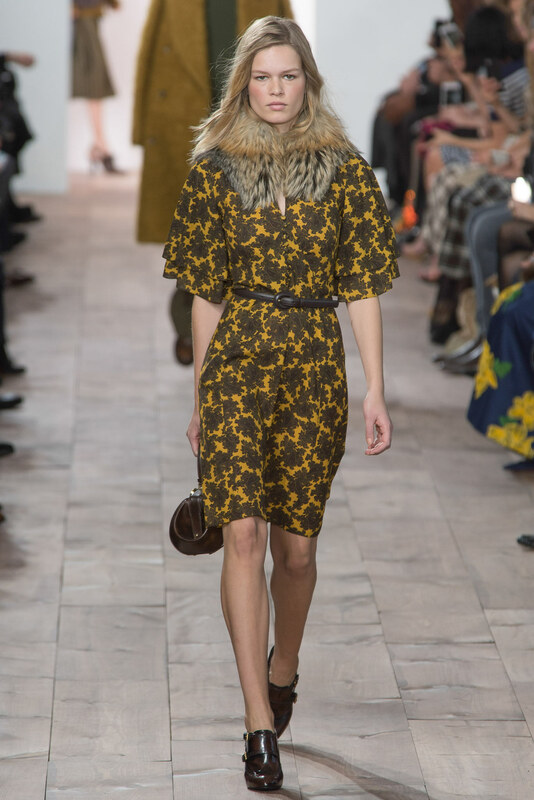 Although clothing in the 1940s were a little more restrictive Kors’ modern take on the style mixed with updated and innovative textiles offered a resurgence of a yesteryear style with a fresh eye. Those suits were belted with a matching bag on many looks. 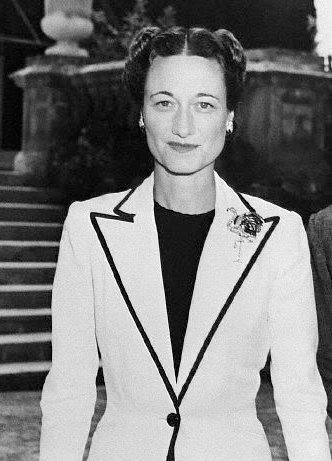 Some suits had fur details on the collar. Offering more opulence with these suits that could work for various occasions. These could definitely be seen worn on the modern royals. 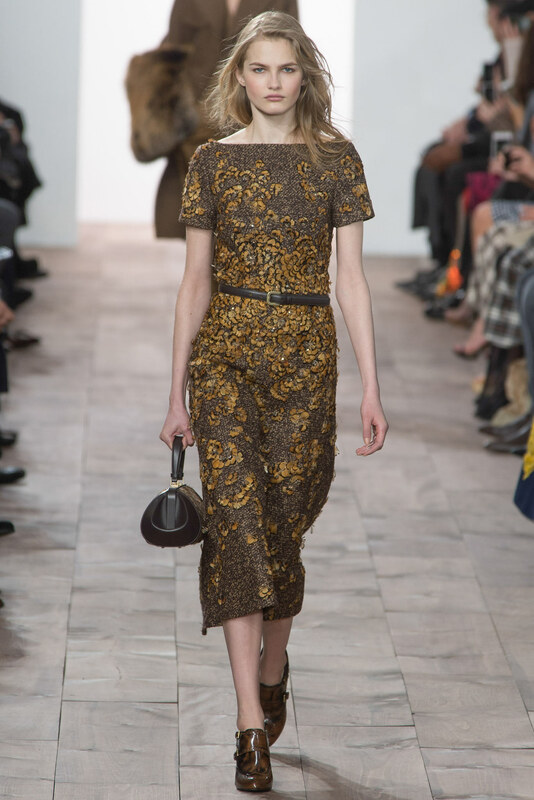 Michael Kors can also be counted on for creating some of the most glamour day and evening dresses. Floral textiles for day in marigold and olive. 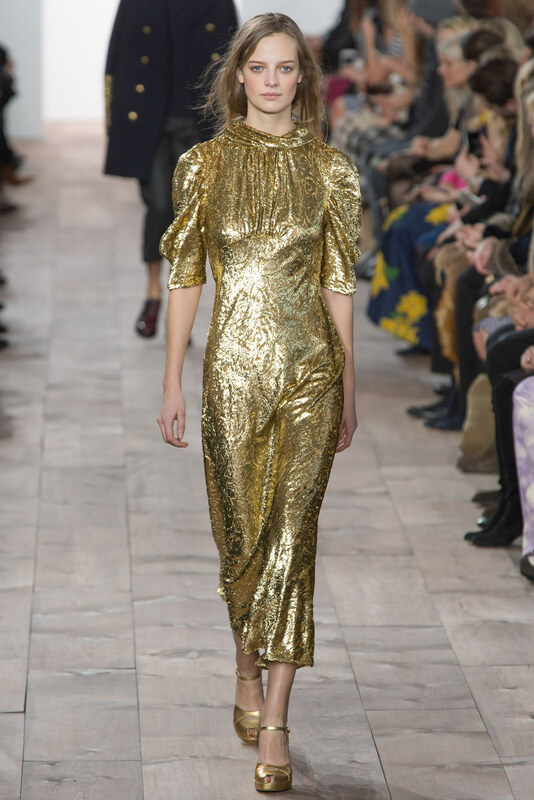 For evening gold and black sequined gowns are perfect for any red carpet occasion. Supermodel, Karlie Kloss, closed the show in a steel gray key-hole gown that looked stunning on her. She is the queen of the runway walk and you could tell she could walk well in this dress. 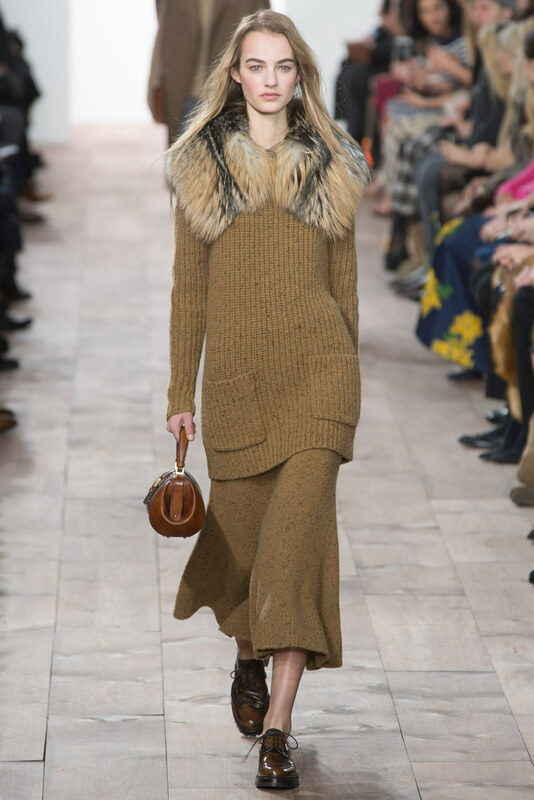 I hope you enjoyed this review of Michael Kors’ Fall/Winter 2015 collection. 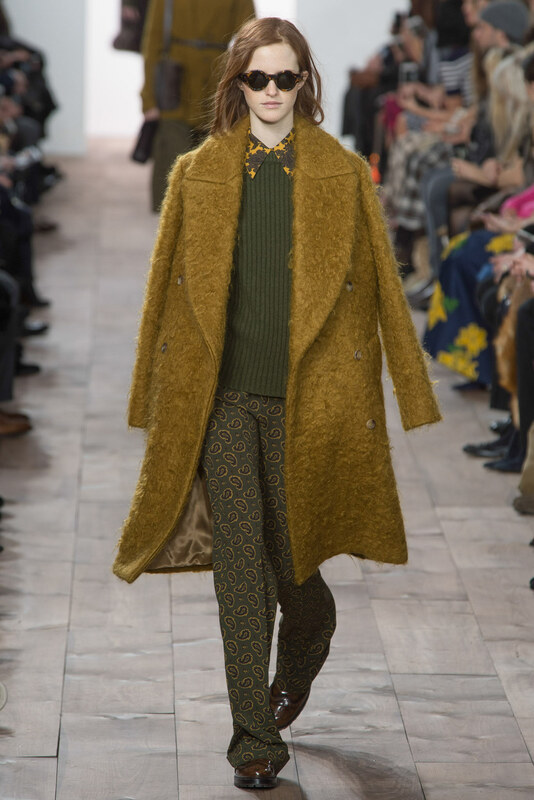 Perhaps you might take one of the looks as inspiration to incorporate in your wardrobe this fall and winter. Until next time, I am Gavo Capote! Next Post Alber Elbaz Out at Lanvin!